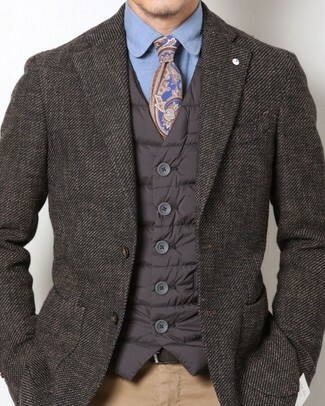 If you're looking for a casual yet sharp outfit, try teaming a dark brown quilted gilet with black jeans. These items are very comfortable and will look great together. To add elegance to your outfit, complete with black leather brogue boots. 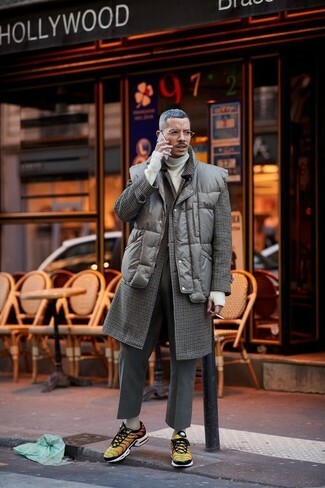 This combination of an Asos quilted gilet and charcoal wool dress pants oozes masculinity and refined elegance. 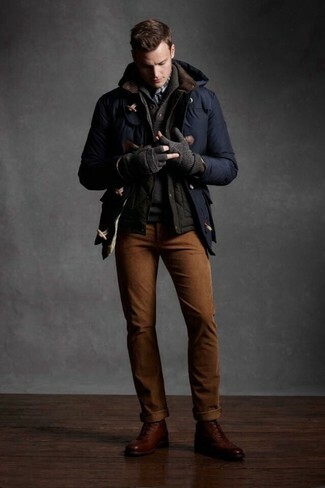 For something more on the daring side to finish off this ensemble, throw in a pair of yellow low top sneakers. 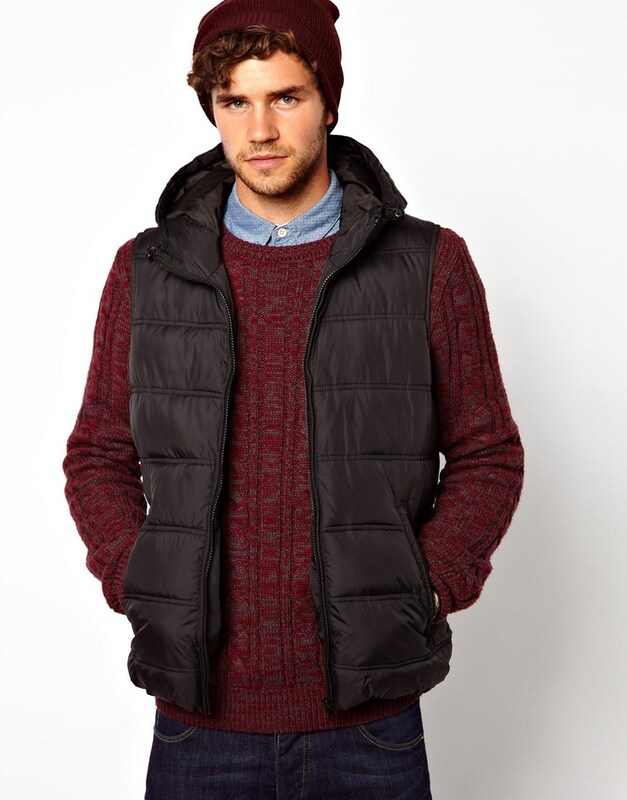 If you're hunting for a casual yet seriously stylish outfit, pair an Asos quilted gilet with brown chinos. These two garments are very comfy and will look fabulous when paired together. Got bored with this getup? Enter brown leather brogue boots to spice things up. 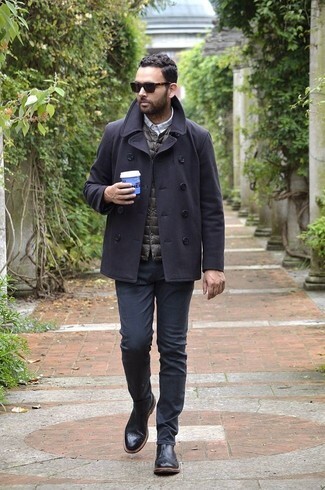 If you're after a casual yet dapper look, opt for a dark brown quilted gilet and khaki chinos. These two pieces are totally comfy and will look great when worn together.